TLJ Daily E-Mail Alert No. 2,239, May 12, 2011. May 12, 2011, Alert No. 2,239. 5/11. The House Judiciary Committee's (HJC) Subcommittee on Crime, Terrorism and Homeland Security held a hearing titled "The USA PATRIOT Act: Dispelling the Myths". The subject matter of the hearing was undefined. In the context of surveillance law, one person's myth is another person's reality, and vice versa. However, on May 27, 2011, three provisions of surveillance law are scheduled to sunset. Thus, the hearing dealt with how the Congress should proceed legislatively in the next two weeks. The three provisions pertain to federal powers under the Foreign Intelligence Surveillance Act (FISA) regarding lone wolves (see, 50 U.S.C. § 1801(b)'s definition of the term "agent of a foreign power"), business records (50 U.S.C. § 1861) (also referred to as Section 215), and roving wiretaps (50 U.S.C. § 1805). It is highly unlikely that the Congress would allow the three provisions to expire. What is at issue is for how long the provisions will be extended, whether any will be made permanent, whether any provisions not now scheduled to sunset will be sunsetted, and whether the Congress will impose any new procedural safeguards, reporting requirements, or oversight processes. Sunsets are significant because the intelligence agencies and the Department of Justice (DOJ) and its Federal Bureau of Investigation (FBI) operate with considerable secrecy on surveillance matters. And, as DOJ Inspector General reports have revealed, the FBI has also sometimes operated without regard for the letter of the law. The Congress 's ability to conduct effective oversight is enhanced by the leverage of sunsets. With sunsets in place, the DOJ must return to the Congress every few years to ask for extensions. In return, Members of Congress demand, and to some extent receive, oversight cooperation. This oversight has several consequences, one of which is to incent government officials to follow Congressional statutes. On Thursday, May 12, the HJC will meet to mark up HR 1800 [LOC | WW | PDF], the "FISA Sunsets Reauthorization Act of 2011", which Rep. James Sensenbrenner (R-WI) introduced on Friday, May 6. See, story titled "House Judiciary Committee to Mark Up Surveillance Sunsets Bill" in TLJ Daily E-Mail Alert No. 2,237, May 10, 2011. In February, the Congress delayed consideration of these issues by enacting a mere three month extension. See, HR 514 [LOC | WW], the "FISA Sunsets Extension Act of 2011", and story titled "Obama Signs Three Month Extension of Surveillance Provisions" in TLJ Daily E-Mail Alert No. 2,198, February 25, 2011. In addition to HR 1800, there is HR 1805 [LOC | WW | PDF], the "USA PATRIOT Act Sunset Extension Act of 2011", introduced by Rep. John Conyers (D-MI) late on Tuesday, May 10, 2011. It is almost identical to S 193 [LOC | WW], the "USA PATRIOT Act Sunset Extension Act of 2011", which the Senate Judiciary Committee (SJC) approved on March 10, 2011. See, related story in this issue titled "Rep. Conyers Introduces Bill to Extend Provisions of Surveillance Law". The May 11 hearing divided members of the Subcommittee largely along partisan lines. Republicans generally defended ongoing surveillance operations as vital to the war on terror, and consistent with rights and liberties, and urged extension of sunsetted provisions. Democrats questioned whether the government is conducting certain surveillance activities in a manner that is consistent to the 4th Amendment and privacy rights of Americans. The one exception was Rep. Louie Gohmert (R-TX), who raised the matter of FBI abuse of national security letter (NSL) authority. 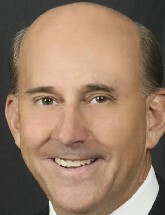 NSL authority is not subject to sunset, but Rep. Gohmert questioned whether it should be subject to a sunset. Rep. Gohmert (at right) said that "as the last five years have unfolded, it seems to me that the biggest abuses have not come in" the use of lone wolf, roving wiretap, or Section 215 business records authority, but rather in the use of "national security letters. That is where we had the IG report that was just devastating about how abusive that has been. And, that is not something that is up for renewal. But, I had concerns that maybe we ought to slide NSL authority under the business records provision. I am just uncomfortable after we saw how easily abused that could be." Back in 2005 the same Subcommittee held a long series of hearings on various provisions of the 2001 surveillance act, Section II of the bill also known as the "USA PATRIOT Act". That was HR 3162 (107th Congress), the "Uniting and Strengthening America by Providing Appropriate Tools Required to Intercept and Obstruct Terrorism Act of 2001". Both Rep. Gohmert and Rep. Jeff Flake (R-AZ), who is no longer a member of the HJC, asked tough questions of government witnesses. At this May 11 hearing the Subcommittee heard from Patrick Rowan, who until recently was a career DOJ attorney, and Ed Mullins, a long time New York City police officer. Both defended surveillance operations, and urged extensions. The Subcommittee also heard from two ancient icons of libertarian conservatism, former Rep. Bob Barr (R-GA) and Bruce Fein. Both argued that government surveillance activities should be constricted by Americans' 4th Amendment and privacy rights. The Subcommittee did not hear testimony from any advocates of individual rights from the political left, such as representatives of the ACLU or EFF. Nor did any current government officials testify. Rep. Sensenbrenner, the Chairman of the Subcommittee, presided. He pushed the hearing to a quick conclusion by strictly limiting witnesses and members to five minutes. He cut off Representatives -- from both parties -- in mid question. Although, he made exceptions for Rep. Conyers, the ranking Democrat on the HJC, by granting him additional time. Rep. Bobby Scott (D-VA), the ranking Democrat on the Subcommittee, stated that these are "controversial provisions". Rep. John Conyers (D-MI), the ranking Democrat on the full Committee, said in his opening statement that "I for one do not think that concerns about the PATRIOT Act are fanciful. For one thing, these powers are used in secret and the people whose phones are tapped or records are seized often never find out. And if they do find out they are often barred by court order from telling anyone. So I question whether it will ever be possible to fully document the impact of these powers on our privacy and civil liberties." Barr wrote in his prepared testimony [46 pages in PDF] that the HJC should reject the approach of HR 1800 "and either amend these sections in order to bring them into full compliance with the letter and the intent of our Constitution, or else allow them to expire". "In the aftermath of 9/11, the government itself has become one of the major threats to the very thing it was designed to protect -- our liberty. We have sacrificed our liberty for, at best, perceived security. We have allowed the government to largely render the Fourth Amendment a nullity by way of the PATRIOT Act and warrantless wiretapping programs that empower the government to snoop on its own citizens." Fein (Campaign for Liberty) wrote in his prepared testimony [13 pages in PDF] that the government "has no business collecting or retaining information about citizens without ``probable cause´´ to believe that a crime has been or will be committed by a target who is identified with “particularity; or, that a particularized search will unearth evidence of crime. Each and every Patriot Act investigation involving citizens triggered by less than probable cause or involving nonparticularized targets or searches is an abuse of government power." Patrick Rowan is a partner at McGuire Woods. He was previously the Assistant Attorney General in charge of the Department of Justice's (DOJ) National Security Division (NSD). There is currently no AAG for the NSD. Todd Hinnen is the acting AAG. Lisa Monaco has been nominate for the position, and approved by the Senate Judiciary Committee (SJC). Rowan wrote in his prepared testimony [7 pages in PDF], regarding the Section 215, roving wiretap, and lone wolf authority, that "each of the provisions is subject to substantial protections against civil rights abuses. Each requires the Government to make a showing to an independent court, the FISA court. Each provision comes with rules governing how the Government handles information regarding United States persons. And each is subject to extensive executive branch oversight, as well as congressional reporting requirements." Ed Mullins wrote in his prepared testimony [6 pages in PDF] that the Congress should not "disarm those sworn to protect" but not extending the three provisions at issue. Lone Wolves. This authority is a part of the FISA, but was not created by the 2001 surveillance act, Title II of the PATRIOT Act. Rather, it was created by Section 6001 of S 2845 (108th Congress), the "Intelligence Reform and Terrorism Prevention Act of 2004". The FISA was originally enacted in 1978. It is codified in Title 50 of the U.S. Code. It pertains to surveillance of a "foreign power" and an "agent of a foreign power". The term "foreign power" is defined to include "a group engaged in international terrorism". The FISA gives the government broader powers to conduct surveillance of foreign powers and their agents, and under lower standards, than the government possesses under Title 18 when conducting surveillance of U.S. persons. The Congress amended the FISA in 2004 to provide that certain individuals, who are not agents of any power or terrorist organization, are subject to FISA based surveillance. Specifically, 50 U.S.C. § 1801(b) defines the term "agent of a foreign power". The 2004 Act amended the definition to include "any person other than a United States person, who ... engages in international terrorism or activities in preparation therefore", thus bringing individuals acting alone within the reach of the FISA. These individuals, acting alone, are sometimes referred to a lone wolves. There is a contradiction here. The FISA applies to agents of foreign powers and terrorists organizations. But, lone wolves are not agents of any foreign power or terrorist organization. Hence, the Congress also added a sunset clause. Rep. Sensenbrenner said at the May 11 hearing that "lone wolf is simply a definition intended to close a gap in our intelligence laws that allows rogue terrorists to slip through the cracks. It is not a free standing provision. It does not create a set of surveillance tools different from the FISA. It does not enable the government to engage in warrantless surveillance or gather any intelligence without the approval of the FISA court." He also stated that it "can only be applied to non-U.S. persons, meaning that it can't be applied to citizens or permanent resident aliens". Rep. Conyers said that making permanent the lone wolf provision is "the wrong way to go". Section 215. Section 215 of the 2001 Act rewrote Section 501 of the FISA, which is codified at 50 U.S.C. § 1861. This is the section of the FISA that provides for "Access to Certain Business Records for Foreign Intelligence and International Terrorism Investigations". This 215/501/1861 authority enables the FBI to obtain from a judge or magistrate an order requiring the production business records. While the statute does not expressly include library records, it is not disputed that library records are covered. It further provides that if the government submits an application to the court that states that there are "reasonable grounds to believe that the tangible things sought are relevant to an authorized investigation", then the "judge shall enter an ex parte order as requested. This is a very low standard, and the judge is left with no discretion. Libraries have been vocal in their opposition to this provision. This authority also carries a sunset. Rep. Conyers stated that Section 215 authority "is so broad that the issue is not whether it has been misused -- the question is whether the permitted uses of it are too broad. The critical question is not whether the rules are being broken, but whether we have the right rules in the first place." Roving Wiretaps. Section 206 of the 2001 Act amended Section 105(c)(2)(B) of the FISA, which is codified at 50 U.S.C. § 1805, to have the effect of allowing the court to authorize roving wiretaps. Section 1805(c)(2)(B) now provides that "An order approving an electronic surveillance under this section shall direct ... upon the request of the applicant, a specified communication or other common carrier, landlord, custodian, or other specified person, or in circumstances where the Court finds, based upon specific facts provided in the application, that the actions of the target of the application may have the effect of thwarting the identification of a specified person, such other persons, furnish the applicant forthwith all information, facilities, or technical assistance necessary to accomplish the electronic surveillance in such a manner as will protect its secrecy and produce a minimum of interference with the services that such carrier, landlord, custodian, or other person is providing that target of electronic surveillance". Rep. Sensenbrenner said, "Gone are the days of land lines and rotary phones. Today's terrorist and spies use disposable phone and free e-mail accounts to hide their tracks" so roving authority is necessary. Rep. Sensenbrenner asserted that "roving authority does not create a John Doe warrant". However, he said that terrorists and spies use "nick names and aliases", so "when the identity of the target is unknown", the government can obtain a roving wiretap order based upon a description. 5/10. Rep. John Conyers (D-MI) introduced HR 1805 [LOC | WW | PDF], the "USA PATRIOT Act Sunset Extension Act of 2011". This bill is taken from S 193 [LOC | WW], the "USA PATRIOT Act Sunset Extension Act of 2011", which the Senate Judiciary Committee (SJC) approved on March 10, 2011. HR 1805 deletes S 193's references to the death penalty. S 193 and HR 1805 would extend the sunsets on several provisions of surveillance law, and address standards, accountability, and oversight, for the purpose of limiting government abuse of surveillance authority. HR 1805 would extend the sunsets on Section 215 FISA business records, Section 206 roving wiretap, and lone wolf authority to December 31, 2013. In contrast, HR 1800 [LOC | WW | PDF], the short bill introduced on May 6, 2011, by Rep. James Sensenbrenner (R-WI) would provide six year extensions for Section 215 and roving wiretap authority, and permanently extend lone wolf authority. HR 1805 would also create a sunset for national security letter (NSL) authority -- December 31, 2013. It would also revise the NSL process. The Department of Justice's (DOJ) Office of the Inspector General (OIG) has written reports that document the FBI's abuse of NSL authority. On March 9, 2007, the DOJ's OIG released a report [30 MB in PDF] titled "A Review of the Federal Bureau of Investigation's Use of National Security Letters". See also, story titled "DOJ IG Releases Reports on Use of NSLs and Section 215 Authority" in TLJ Daily E-Mail Alert No. 1,551, March 13, 2007. That report covered the use of NSLs in 2003 through 2005. On March 13, 2008, the OIG released a report [187 pages in PDF] titled "A Review of the FBI's Use of National Security Letters: Assessment of Corrective Actions and Examination of NSL Usage in 2006". See also, story titled "DOJ Inspector General Releases Second Report on FBI Misuse of National Security Letters" in TLJ Daily E-Mail Alert No. 1,730, March 12, 2008. See also, story titled "House Subcommittee Holds Hearing on NSL Authority" in TLJ Daily E-Mail Alert No. 2,214, April 1, 2011. Rep. Conyers stated in a release that "I have introduced a bill that has already been reported out by the Senate Judiciary, a bill that has bipartisan support and the backing of the intelligence community." Attorney General Eric Holder has many times expressed his support for S 193, and its predecessor bill in the 111th Congress, S 1692 [LOC | WW], the "USA PATRIOT ACT Sunshine Extension Act". For example, he stated at the May 4, 2011, hearing of the SJC that it "critical that that bill become law as quickly as possible". Rep. Conyers added that "In sixteen days, three provisions of the Foreign Intelligence Surveillance Act are set to expire ... It is clear that many members of both parties still have serious concerns about the PATRIOT Act, including these three provisions. But instead of discussing these concerns, the majority has introduced legislation that would make the Lone Wolf authority permanent and extend the business records and roving wiretaps for six years. Their bill would make no improvements to the PATRIOT Act. It includes no new protections for privacy. It requires no reporting to Congress. I do not support this approach." The Library of Congress web site states that HR 1805 bill has no original cosponsors. However, Rep. Conyers' release states that the bill is co-sponsored by Rep. Dutch Ruppersberger (D-MD), the ranking Democrat on the House Intelligence Committee (HIC). HR 1805 was referred to the House Judiciary Committee (HJC). 5/11. The House Rules Committee (HRC) held a meeting on Wednesday, May 11, 2011, at which it adopted a structured rule [PDF] for consideration of HR 754 [LOC | WW], the "Intelligence Authorization Act for Fiscal Year 2011". This is a bill to authorize appropriations for sixteen federal agencies involved in intelligence related activities. This bill would create a new program intended to detect transfers of information to entities such as WikiLeaks. The Senate version of the bill contains the same provision. See, S 719 [LOC | WW], also titled "Intelligence Authorization Act for Fiscal Year 2011". See also, stories titled "Intelligence Authorization Bills Seek to Counter WikiLeaks" and "Commentary: Information Sharing and National Security Leaks" in TLJ Daily E-Mail Alert No. 2,235, May 7, 2011. The House is scheduled to consider this bill on Thursday, May 12, and Friday, May 13. The rule makes in order nine amendments. The Senate version of this bill would also create a new administrative process to be used against government employees who transfer classified information. It would provide the government a procedure that is simpler, and less burdened by due process requirements, than criminal prosecutions. That provision from the Senate bill in not in the House bill as reported, in the manager's amendment, or in any other amendment made in order by the just adopted rule. Rep. Rush Holt (D-NJ) offered an amendment, which the HRC did not make in order, titled the "Judicious Use of Surveillance Tools In Counterterrorism Efforts Act of 2011" or "JUSTICE Act". Rep.Holt's (at right) amendment borrows the substantive language of S 1686 [LOC | WW], the "Judicious Use of Surveillance Tools In Counterterrorism Efforts Act of 2009", a bill sponsored in the 111th Congress by former Sen. Russ Feingold (D-WI). That bill had ten cosponsors, all Democrats. Sen. Feingold lost his bid for re-election in November of 2010. The House version of that bill was HR 4005 [LOC | WW]. This has not been introduced as a stand alone bill in the 112th Congress. The Holt amendment addresses a wide range of surveillance authorities. It devotes 35 pages to revising and limiting national security letter (NSL) authority. It also revises Section 215 (business records under the FISA) authority. It also revises the sneak and peek search warrant provision of the PATRIOT Act. It also revises roving wiretap authority. It also revises pen register and trap and trace authority. It also addresses "reverse targeting", the wiretapping a person overseas when what the government is really interested in is listening to an American in the US with whom the foreigner is communicating. But, the House will not vote on it, or any of its components. 5/11. Federal Communications Commission (FCC) Commissioner Meredith Baker announced that she will leave the FCC on June 3, 2011. She will go to work for NBC Universal as SVP for Government Affairs. Baker (at right) stated in a release that "I depart most proud of our collective efforts to focus on long-term comprehensive spectrum reform. It is the most important step we can take to ensure our nation's competitiveness in an increasingly interconnected world." FCC Chairman Julius Genachowski stated in a release that "For the past two years, it's been my privilege to serve with Meredith Baker as the FCC has navigated the communications challenges of the 21st century. Meredith's wonderful spirit, broad experience and deep policy acumen have made the FCC a more effective agency. She's made our decisions smarter and our policies better. I wish her well in her new role at NBC Universal." The three other Commissioners also expressed their best wishes. See, statement of Michael Copps, statement of Robert McDowell, and statement of Mignon Clyburn. Baker opposed Chairman Genachowski's efforts to impose a new regulatory regime on broadband internet access service (BIAS) providers. Internet groups such as the Free Press and Public Knowledge sought a more onerous regulatory regime. The Free Press, which is often uncivil in its characterization of those who oppose its policy objectives, stated in a release that "the complete capture of government by industry barely raises any eyebrows. The continuously revolving door at the FCC continues to erode any prospects for good public policy. We hope -- but won't hold our breath -- that her replacement will be someone who is not just greasing the way for their next industry job." The FP added that Baker is "cashing in at a company she is supposed to be regulating". Gigi Sohn, head of the Public Knowledge, stated in a release that "We were disappointed to learn of the resignation of FCC Commissioner Meredith Atwell Baker. We have enjoyed working with her on a variety of issues, and respect her dedication to, and knowledge of the telecommunications industry through her service not only at the FCC but also at the National Telecommunications and Information Administration." Walter McCormick, head of the US Telecom, stated in a release that "Commissioner Baker brought an extraordinary level of talent, commitment and knowledge of communications to the commission, and we will miss her. We are grateful for her public service, for her fair and even-handed approach, and for the time and effort she spent in seeking to thoroughly understand each of the major issues facing our industry. We wish her much success in her new career with NBCUniversal." Michael Powell, head of the National Cable and Telecommunications Association (NCTA), stated in a release that "Meredith has been a great friend for many years and an outstanding public servant, as she has served with honor and integrity at the FCC and NTIA. She deserves enormous credit for her policy leadership during the nation’s broadcast digital TV transition. She also always has kept consumers’ best interests in mind when addressing the many challenging telecom policy issues that have come before the FCC during her tenure. She will be sorely missed, but I wish her well in the next chapter of her noteworthy career." Gordon Smith, head of the National Association of Broadcasters (NAB), stated in a release that "With a winning combination of integrity, intellect and experience, Meredith Baker will be a key player for NBCUniversal, and I know that her in-depth knowledge of broadcast issues, deep understanding of the D.C. landscape and strong leadership abilities will make her an important resource for the entire broadcast industry." The House will meet at 10:00 AM for morning hour, and at 12:00 NOON for legislation business. It will begin consideration of HR 754 [LOC | WW], the "Intelligence Authorization Act for Fiscal Year 2011", subject to a rule. See, stories titled "Intelligence Authorization Bills Seek to Counter WikiLeaks" and "Commentary: Information Sharing and National Security Leaks" in TLJ Daily E-Mail Alert No. 2,235, May 7, 2011. See, Rep. Cantor's schedule for week of May 9. The Senate will meet at 9:30 AM. It will consider the nomination of Michael Urbanski to be a Judge of the U.S. District Court (WDVa). Supreme Court conference day (discussion of argued cases, and decision on cert petitions). Closed. 9:00 AM. The House Ways and Means Committee (HWMC) will hold a hearing titled "The Need for Comprehensive Tax Reform to Help American Companies Compete in the Global Market and Create Jobs for American Workers". See, notice. Location: Room 1100, Longworth Building. TIME CHANGE. 10:00 AM. 9:30 AM. The Senate Judiciary Committee (SJC) will hold an executive business meeting. The agenda again includes consideration of the nominations of Donald Verrilli (DOJ Solicitor General), Henry Floyd (USCA/4thCir), Kathleen Williams (USDC/SDFl), Nelva Ramos (USDC/SDTex), Richard Jackson (USDC/DColo), and Sara Darrow (USDC/CDIll). The agenda also again includes consideration of S 623 [LOC | WW], the "Sunshine in Litigation Act". The SJC rarely follows its published agendas. The SJC will webcast this event. See, notice. Location: Room 226, Dirksen Building. 9:30 AM. The Senate Banking Committee (SBC) will hold an executive business meeting. It will consider the nominations of Peter Diamond (to be a member of the Board of Governors of the Federal Reserve System), David Cohen (to be the Department of the Treasury's Under Secretary for Terrorism and Financial Crimes), and Daniel Glaser (to be Assistant Secretary for Terrorist Financing). See, notice. Location: Room 538, Dirksen Building. 10:00 AM. The House Judiciary Committee (HJC) will meet to mark up HR 1800 [LOC | WW | PDF], the "FISA Sunsets Reauthorization Act of 2011". See also, HR 1805 [LOC | WW], the "USA PATRIOT Act Sunset Extension Act of 2011". See, notice. Location: Room 2141, Rayburn Building. 10:00 AM - 12:00 NOON. The House Intelligence Committee (HIC) will hold a closed hearing titled "FY 2012 Budget Overview". Location: Room HVC-304, Capitol Visitor Center. POSTPONED. 10:00 AM. The Senate Commerce Committee (SCC) will hold a hearing titled "Economic Ramifications of Cyber Threats and Vulnerabilities to the Private Sector". The witnesses will be Gordon Snow (Assistant Director of the FBI's Cyber Division), Harriet Pearson (IBM), Sara Santarelli (Verizon), and Thomas Kellermann (AirPatrol Corp.) See, notice. Location: Room 253, Russell Building. 10:00 AM. The House Foreign Affairs Committee (HFAC) will hold a hearing titled "Export Controls, Arms Sales, and Reform: Balancing U.S. Interests, Part 1". The witnesses will be Ellen Tauscher (Under Secretary of State for Arms Control and International Security), Eric Hirschorn (head of the Department of Commerce's Bureau of Industry and Security), and James Miller (Department of Defense). See, notice. Location: Room 2172, Rayburn Building. 10:30 AM. The Federal Communications Commission (FCC) will hold an event titled "open meeting". See, tentative agenda and story titled "FCC Releases Tentative Agenda for May 12 Meeting" in TLJ Daily E-Mail Alert No. 2,225, April 25, 2011. Location: FCC, Commission Meeting Room, 445 12th St., SW.
12:00 NOON - 1:45 PM. The New America Foundation (NAF) will host a panel discussion titled "Can the FCC Convert Satellite Spectrum into Wireless Competition?". The speakers will be Sanjiv Ahuja (Ch/CEO of LightSquared), Reed Hundt (REH Advisors LLP), Parul Desai (Consumers Union), Bill Ingram (Cricket/Leap), Larry Krevor (Sprint Nextel), Michael Calabrese (NAF), and Sascha Meinrath (NAF). See, notice. Location: National Press Club, Holeman Lounge, 529 14th St., NW. 2:30 PM. The Senate Homeland Security and Governmental Reform Committee (SHSGRC) will hold a hearing titled "Ten Years After 9/11: Is Intelligence Reform Working? : Part I". Part II of this hearing will be on May 19. See, notice. The SHSBRC will webcast this hearing. Location: Room 342, Dirksen Building. 2:30 PM. The Senate Intelligence Committee (SIC) will hold a closed hearing. Location: Room 219, Hart Building. 3:00 PM. Sen. John Rockefeller (D-WV) will hold a news conference call to urge passage of S 28 [LOC | WW], the "Public Safety Spectrum and Wireless Innovation Act". The call in number is 202-228-2663. The Meeting ID is 0831859. Deadline to submit comments to the National Institute of Standards and Technology's (NIST) Computer Security Division (CSD) regarding its draft FIPS-180-4 [35 pages in PDF] titled "Secure Hash Standard (SHS)". See also, notice in the Federal Register, February 11, 2011, Vol. 76, No. 29, at Pages 7817-7818. The House will meet at 9:00 AM for legislation business. It will continue consideration of HR 754 [LOC | WW], the "Intelligence Authorization Act for Fiscal Year 2011", subject to a rule. See, Rep. Cantor's schedule for week of May 9. RESCHEDULED FROM MAY 3. 10:00 AM. The House Commerce Committee's (HCC) Subcommittee on Communications and Technology will hold a hearing titled "FCC Process Reform". The witnesses will be the five members of the Federal Communications Commission (FCC). See, notice. Location: Room 2123, Rayburn Building. 10:00 AM. The House Foreign Affairs Committee's (HFAC) Subcommittee on Africa, Global Health, and Human Rights will hold a hearing titled "China’s Latest Crackdown on Dissent". See, notice. Location: Room 2172, Rayburn Building. 1:00 PM. The Department of Commerce's (DOC) National Institute of Standards and Technology's (NIST) Office of Law Enforcement Standards (OLES) and the Department of Homeland Security's (DHS) Office for Interoperability and Compatibility (OIC) will host a teleconferenced meeting regarding testing for conformity with interoperability standards for public safety communications. This meeting pertains to Project 25 (P25). These agencies state that "An initial goal of P25 is to specify formal standards for interfaces between the components of a land mobile radio (LMR) system. LMR systems are commonly used by emergency responders in portable handheld and mobile vehicle-mounted devices. Although formal standards are being developed, no process is currently in place to confirm that LMR equipment advertised as P25-compliant meets all aspects of P25 standards." The deadline to request to attend is May 6. The deadline to submit written comments is May 6. See, notice in the Federal Register, April 29, 2011, Vol. 76, No. 83, at Pages 23992-23993. 4:45 - 6:15 PM. The American Bar Association (ABA) will host a webcast panel discussion titled "Cloud Computing: Will It Reduce IT Costs?". Prices vary. CLE credits. See, notice and registration page. 5:00 PM. Deadline to submit applications to participate in the June 20, 2001, cyber security research workshop hosted by the National Coordination Office for Networking and Information Technology Research and Development (NCO/NITRD) titled "Abnormal Behavior Detection Finds Malicious Actors". This is part of its series titled "Assumption Buster Workshops". See, NITRD issue summary, and notice in the Federal Register, April 25, 2011, Vol. 76, No. 79, at Pages 22925-22926. Deadline to submit reply comments to the Federal Communications Commission (FCC) in response to its Notice of Proposed Rulemaking (NPRM) [152 pages in PDF] regarding disability access and S 3828 [LOC | WW], the "Twenty-First Century Communications and Video Accessibility Act of 2010" (CVAA), signed into law on October 8, 2010, and S 3304 [LOC | WW]. This NPRM proposes to adopt rules implementing the new Section 716 of the Communications Act. The CVAA, at S 3304, Title I, Section 104, gives the FCC sweeping direction and authority to regulate "user equipment, network equipment, and software" to ensure that it is "accessible to and usable by individuals with disabilities". The FCC adopted this item on March 2, 20111, and released the text on March 3, 2011. It is FCC 11-37 in CG Docket No. 10-213, WT Docket No. 96-198, CG Docket No. 10-145. See, notice in the Federal Register, March 14, 2011, Vol. 76, No. 49, at Pages 13799-13849. The House will be in recess the week of Monday, May 16 through Friday, May 20. 9:30 AM. The U.S. Court of Appeals (DCCir) will hear oral argument in Warren C. Havens v. FCC, App. Ct. No. 02-1359. Judges Sentelle, Ginsburg and Garland will preside. Location: 333 Constitution Ave., NW. 10:30 AM - 12:00 NOON. The Federal Communications Commission (FCC) will host an event titled "Cybersecurity Roundtable: Protecting Small Businesses". See, notice. The FCC will webcast this event. Location: FCC, Commission Meeting Room, 445 12th St., SW.
12:00 NOON - 3:00 PM. The Institute for Policy Innovation (IPI) will host an event titled "Growing Trade, Growing Jobs: The Benefits and Challenges of Free Trade". The keynote speakers will be Stan McCoy (Assistant USTR for IP & Innovation) and Mike Moore (New Zealand Ambassador to the US). There will also be a panel titled "How Expanding Trade Benefits U.S. Job Creation" and another panel titled "Pending Challenges: Exploring Patents, Copyrights, Data Flow & IT Services". This event is free and open to the public. To register, contact Erin Humiston at erin at ipi dot org or 972-874-5139. Location: Holeman Lounge, National Press Club, 529 14th St., NW. 5:00 PM. Deadline to submit requests to participate in the two day meeting of the Copyright Office (CO) on June 2-3, 2011, regarding bringing sound recordings fixed before February 15, 1972 under federal jurisdiction. See, notice in the Federal Register, Vol. 76, No. 89, Monday, May 9, 2011, at Pages 26769-26771. See also, notice in the Federal Register, November 3, 2010, Vol. 75, No. 212, at Pages 67777-67781, and story titled "Library of Congress Issues NOI on Extending Copyright Act to Pre 1972 Sound Recordings" in TLJ Daily E-Mail Alert No. 2,150, November 8, 2011. Deadline to submit reply comments to the Federal Communications Commission (FCC) in response to its 2nd Further Notice of Proposed Rulemaking (2ndFNPRM), regarding broadcasting near tribal lands. This item is FCC 11-28 in MB Docket No. 09-52. The FCC adopted and released this item on March 3, 2011. See, notice in the Federal Register, March 16, 2011, Vol. 76, No. 51, at Pages 14362-14366. Deadline to submit initial comments to the Federal Communications Commission (FCC) Notice of Proposed Rulemaking (NPRM) regarding video relay service (VRS) rates. The FCC adopted this item on April 14, 2011, and released it on April 15, 2011. It is FCC 11-62 in CG Docket Nos. 10-51 and 03-123. See, notice in the Federal Register, May 2, 2011, Vol. 76, No. 84, at Pages 24442-24443. 8:00 -10:00 AM. Broadband Census News LLC will host a panel discussion titled "International Hacking and Cybersecurity: Is the Internet Secure Enough?" "AT&T - T-Mobile: Going Big or Going Home?". Breakfast will be served. This event is open to the public. The price to attend is $47.12. See, notice and registration page. This event is also sponsored by the National Cable & Telecommunications Association (NCTA), Telecommunications Industry Association (TIA) and USTelecom. Location: Clyde's of Gallery Place, 707 7th St., NW. 12:00 NOON - 1:30 PM. The Information Technology and Innovation Foundation (ITIF) will host a panel discussion titled "Waves of Innovation: Spectrum Allocation in the Age of the Mobile Internet". The speakers will be Charles Jackson (George Washington University), Matthew Hussey (office of Sen. Olympia Snowe (R-ME)), Thomas Hazlett (George Mason University), Steven Crowley, and Richard Bennett (ITIF). See, notice and registration page. Location: Room 2168, Rayburn Building, Capitol Hill. TIME? The National Coordination Office for Networking and Information Technology Research and Development (NCO/NITRD) will host a workshop on cyber security research titled "Distributed Data Schemes Provide Security". See, NITRD issue summary and notice in the Federal Register, March 28, 2011, Vol. 76, No. 59, at Page 17158-17159. Location: __, Gaithersburg, MD. Deadline to submit reply comments to the Federal Communications Commission (FCC) in response to its Notice of Proposed Rulemaking (NPRM) [158 pages in PDF] regarding video description rules. This would reinstate and modify the video description rules adopted by the FCC in 2000, and subsequently vacated by the U.S. Court of Appeals, pursuant to S 3828 [LOC | WW], the "Twenty-First Century Communications and Video Accessibility Act of 2010" (CVAA), signed into law on October 8, 2010, and S 3304 [LOC | WW], at Title II, Section 202. The FCC adopted this item on March 2, 20111, and released the text on March 3, 2011. It is FCC 11-36 in MB Docket No. 11-43. See, notice in the Federal Register, March 18, 2011, Vol. 76, No. 53, at Pages 14856-14871. Deadline to submit comments to the Federal Communications Commission (FCC) regarding possible elimination of ten year old rules, pursuant to Section 610 of the Regulatory Flexibility Act of 1980. See, notice in the Federal Register, March 18, 2011, Vol. 76, No. 53, at Pages 14871-14882. 8:30 AM - 3:30 PM. The National Institute of Standards and Technology's (NIST) Technology Innovation Program (TIP) Advisory Board will meet. See, notice in the Federal Register, April 1, 2011, Vol. 76, No. 63, at Pages 18166-18167, and notice in the Federal Register, April 22, 2011, Vol. 76, No. 78, at Pages 22673-22674. Location: NIST, Portrait Room, Building 101, Gaithersburg, MD. 1:00 - 4:00 PM. The Department of Transportation's (DOT) Intelligent Transportation Systems Program Advisory Committee (ITS/PAC) will host a web conference on ITS. The deadline to submit requests to participate is May 11. See, notice in the Federal Register, April 25, 2011, Vol. 76, No. 79, at Page 22940. 6:00 - 7:30 PM. The Federal Communications Bar Association (FCBA) will host an event titled "Management of Federal Spectrum -- A Guide to NTIA Procedures, Intersecting NTIA/FCC Issues, and Navigating the Maze". CLE credits. The deadline to register is 5:00 PM on May 16. Prices vary. Location: __. Deadline to submit comments to the Department of Commerce's (DOC) National Telecommunications and Information Administration's (NTIA) Commerce Spectrum Management Advisory Committee regarding matters to be discussed at its May 25, 2011, meeting. See, notice in the Federal Register, April 28, 2011 Vol. 76, No. 82, at Pages 23796-23797. 9:00 AM - 5:30 PM. Day one of a two day meeting of the National Science Foundation's (NSF) Advisory Committee for Social, Behavioral and Economic Sciences. See, notice in the Federal Register, April 29, 2011, Vol. 76, No. 83, at Page 24062. Location: NSF, 4201 Wilson Boulevard, Stafford II, Room 555, Arlington, VA.
10:00 PM. The Senate Homeland Security and Governmental Reform Committee (SHSGRC) will hold a hearing titled "Ten Years After 9/11: Is Intelligence Reform Working? : Part II". See, notice. The SHSBRC will webcast this hearing. Location: Room 342, Dirksen Building. 11:00 AM - 1:00 PM. The Department of Homeland Security's (DHS) Data Privacy and Integrity Advisory Committee will meet by teleconference. See, notice in the Federal Register, May 4, 2011, Vol. 76, No. 86, at Pages 25361-25362. 12:00 NOON - 1:00 PM. The Information Technology and Innovation Foundation (ITIF) will host a panel discussion titled "Life in the Cloud: A View of Cloud Computing for Personal, Business and Government Use". The speakers will be Jeff Bergeron (HP), Karen Kerrigan (Small Business and Entrepreneurship Council), and Robert Atkinson (ITIF). See, notice. Register at hpinnovationrsvp at pstrategies dot com. Location: Room 2203, Rayburn Building, Capitol Hill. 12:30 - 2:00 PM. The DC Bar Association will host a brown bag lunch. The speaker will be Timothy Reif (General Counsel of the Office of the U.S. Trade Representative). Free. No CLE credits. Reporters are barred from this event. See, notice. Location: Wilmer Hale, 1875 Pennsylvania Ave., NW. 1:00 - 2:00 PM. The American Bar Association (ABA) will host a webcast panel discussion titled "Cyberbullying". Prices vary. CLE credits. See, notice and registration page. 2:30 - 3:30 PM. The American Bar Association (ABA) will host a webcast panel discussion titled "Ethics of Social Networking". Prices vary. CLE credits. See, notice and registration page. Deadline to submit comments to the Copyright Office (CO) in response to its proposal to amend its rules to "provide reporting of uses of sound recordings performed by means of digital audio transmissions pursuant to statutory license for the period April 1, 2004, through December 1, 2009". See, notice in the Federal Register, April 19, 2011, Vol. 76, No. 75, at Pages 21833-21835. 5/10. The Senate confirmed Edward Milton Chen to be a Judge of the U.S. District Court for the Northern District of California by a vote of 56-42. See, Roll Call No. 68. This District Court hears a disproportionately large amount of technology related cases. However, opposition to Chen was not based upon technology related matters. Sen. Patrick Leahy (D-VT), the Chairman of the Senate Judiciary Committee (SJC), stated that Chen "has been a well-respected Federal Magistrate Judge". Sen. Leahy also praised the Senate for returning to the "longstanding tradition of deference to home state Senators with regard to Federal District Court nominations". Chen was confirmed on a nearly straight party line vote. However, Republicans did not filibuster his nomination, which would have required 60 votes to stop. Sen. Charles Grassley (R-IA), the ranking Republican on the SJC, said that "Judge Chen is not a consensus nominee. His nomination was considered during the last Congress, and was voted out of committee on a party line vote. The nomination was returned to the President on more than one occasion. Despite our repeated and consistent opposition, the nomination was resubmitted this year. Again, it was reported out on a 10-8 party line vote." He said that "Chen appears ready and willing to adopt and apply the so-called empathy standard. He appears to be a member of the camp that believes that being completely impartial is just an old-fashioned view of judging." He also noted that "Judge Chen worked as a staff attorney for the American Civil Liberties Union (ACLU) for over 15 years. As an advocate for the ACLU, he took very liberal positions on a variety issues." Sen. Grassley also stated that "The President has failed to send to the Senate a nomination for 50 percent of the current judicial vacancies. This statistic certainly does not indicate a sense of urgency on the part of the White House." 3034 Newark St. NW, Washington DC, 20008.